Always loved Robben in UT. He's so cheap aswel this year i'm tempted again. SBC Quaresma or IF Thauvin. Depends what you prefer, left footer cutting in to pass or shoot or right footer banging in crosses and passes or across the keeper shots. if I say Trump will the new mods ban me? Willian, only one I've used for the entire game. Splashing out abit, it's Christmas. He's like 44k now, Dan can take that loss like a boss. Good point, will stop looking at 9G. 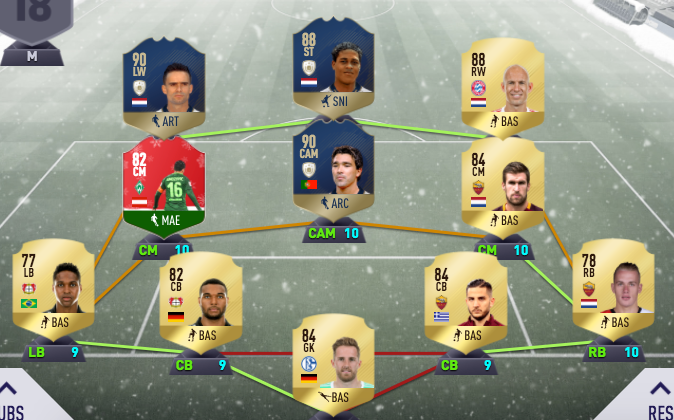 Have bought 88 Kluivert though. Links to great cards too.